Yeah, if you look at BsM, we've avoided calling characters like Rikki, Pifer, and Samuel "feral", because that would indicate that they're not SUPPOSED to be wild. Dogs and Cats can be "feral", but lynxs and raccoons aren't. Hey, it's all minor semantics anyway, I didn't know it either until I looked it up thinking "is this REALLY the right word?" Dogs and Cats can be "feral", but lynxs and raccoons aren't. This place sounds like it's going to be an epic struggle of grand proportions! Here's a breed I've always wanted to be.. Appearance: Like the usual Red Squirrel but with a distinctive black spot on the end of his tail, like he dipped it in ink..
Background: Was the mascot of a Zoo near Edinbourogh. Shipped to America, he broke free on the ship and escaped when it docked. He roamed the countryside untill he came across the forest has been living in a hollow tree for a week now.. Personality: A young, adventurous little squirrel with bounds of energy. Will walk up to anyone seemingly friendly. If you let him, he'll talk to you all day and night! He will always be the one to give an encouraging speech! *Is always energetic and full of happiness. *Sees everyday as an adventure. *Dosen't like to see pets, animals, people, ANYONE sad. *If provoked, will always run, even if there are allies around him. *Has a young, mild scottish accent. Is he allright to join? Edit: changed age, that better? Last edited by ~\Rook/~ on Sat Aug 18, 2012 10:31 am, edited 1 time in total. Black wolf who possess various streaks of white over his body (underbelly, etc) and one large one down his tail, earning him his nickname (Skunk). He has a average wolf build and also one large scar down his face, reasons unknown. Quite shy, suprising for a wolf who are meant to be social with their packs but is working on that as he's been lonely for some time. He shares different attitudes at time, one where he is fearful to other animals but later he wants to be friends, basically...trust issues. He's that even that confident, he's what you would call a sheep in wolf's clothing, terrified of almost anything strange to him after spending all his previous years tucked closely with his parents, afraid of danger. He's trying to be as friendly as possible at times, even attempting the difficult choice of being a vegetarian which is proving hard for him. Last edited by Daxter on Fri Aug 17, 2012 9:46 pm, edited 1 time in total. Personality: A young, adventurous little squirrel with bounds of energy. I think that's in pet years. Still, needs clarified. Good question. I think the Housepets! aging rate is still seven years, for simplicity's sake. Well, both characters seem just fine, after Rook makes a quick edit with the whole age thing... And I agree with Housefox, probably it should be the whole 7:1 ratio. Otherwise, feel free to post. Whoops! I guess I better edit that.. and thank you for allowing me in! I'll get my first post up soon! Think you have room to squeeze in another character? If I'm not mistaken, (since it wasn't actually defined here) I believe a feral is a domesticated animal that's become wild. So, you could have a feral cat, dog, or tame silver fox, but not a feral wolf or lynx (since they're not domestic). 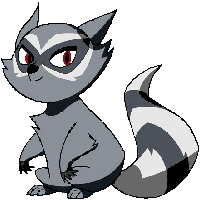 Oh, and official Housepets lore says that the pets live twice as long as normal as their four-legged counterparts (meaning that's what Rick has said)- For a small squirrel, 7:1 does seem about right. Anyway, I'll have a slight lag in joining, mainly because I need to re-read my character's backstory, voice and add some tweaks as I see fit (and also TF2 released a major update with co-op so that's been distracting like none-other, if I'm going to be honest ). Go play with your hats! But speaking of which (and this is directed at everyone), do we want to have a max player limit? I know RV's is fifteen people, but I think --think-- that it varies depending on the RP. Personality: You wouldn't call North to be the nicest animal you meet (at first). The dog isn't mean but he lacks tact and deep emotion to be considered 'nice' His frosty personality originating from what he calls "life lessons from the past". He can successfully carry out a conversation one on one but if he's put on a stand he has a tendency to panic. North has a propensity to be nosey. His strengths lie in his ability to complete tasks and work. North's mind is wired to shoot for success and accept nothing else, holding himself to a high standard. He has a great sense of what he believes is "the morally right thing to do" and doesn't have a problem with calling someone out. His dream is to someday to become a police dog (but for some reason he sees it as unrealistic). His main drawbacks are his gullibility, and his indecisiveness on personal choices. Background: North could be considered your usual Christmas present Catastrophe case. One day a young girl told her parents she wanted a dog. So for Christmas, that's exactly what her parents got her. And that dog happened to be North. It was probably one of the happiest days of his life (all of his days previous to this was at a local pound). Their logic was that if they bought an older dog, they'd need to take care of it less (as opposed to a puppy). And it worked out well. For a couple months. After which it became apparent to the parents that their daughters interests started veering away from their new dog, and the cost and time of owning a dog was "too much" for them. So they made the ultimatum to "return" him to his old home. When he overheard this he made the spontaneous decision to leave... and never come back. Abandoning his name and making his own (he's a fan of the Badlands). S - 9 "I blame genetics..."
P - 5 - "I wasn't startled it was just a... defensive reaction...yup." E - 7 - "Not tired yet." C - 5 - "As long as I don't have to speak in front of a podium..."
I - 5 - "I blame lack of books." A - 7 - "Sharp turns? No problem...mostly"
L - 4 - "I've have better days... but not by much." Looks good, Roarin. Post away! I must say, Connor is friendly because he dosen't know much better, he was a zoo animal.. A zoo mascot to be precise..
Can I join? THIS BE AWESOME. Fine by me. Character sheet, go! Just to let everyone know, when Quartz joins (if you include Buck --who hasn't posted-- and Housefox --who I think is joining?--) that'll be ten members. I have to agree with RR. these animals are acting like well fed owned pets. not wild dont know where my next meal pets should. where is the territorial conflict? not miffed that new predators are on your turf?? I was afraid the RP was going to be very dark and gloomy, so this is okay. Also, first day of college today, woo. But yeah. Just. Guys, it would be cool (and this is for everyone, could apply in the future) if you would wait to post so that everyone could reply. Not exactly a posting order, because I know sometimes people post a little too slowly. Just. Give each other a chance to catch up, instead of two people in a group of four or five posting rapidly back and forth. That way, it's more fair... It's just using a bit of courtesy. Also, if anyone ever feels left behind or like they can't keep up, you should PM me and let me know so I can talk to the other players and work something out. Either that or you can go directly to each other. By no means do you have to come through me. Just. Don't sit and be unhappy or frustrated. Please, talk to someone about it. Voice your grievances, otherwise they won't be fixed! That's a rule for pretty much every roleplay. Jus' sayin'. Yeah. I just figured I'd go ahead and post it. As a reminder, I guess. Currently you're not holding anyone up. Quartz can post a charrie whenever. But if you truly feel you don't have enough time, then don't worry about it! Vomit buckets. That's what I'm gonna think of whenever I think of Haven from now on. Grif kinda reminds me of a more furry and disheveled Sherlock Holmes. He reminds me of a cult leader. Is there a 'shifty eyes' emotion? No? Too bad. Grif's just good at dealing with people, is all. And yeah, sorry for the ultra long posts all the time, though honestly I like long posts. I guess it just depends on a person's preferences. she could kill three stones with one bird!